The Austrian President Heinz Fischer has just wound up his visit to Moscow (April 5-6). He made it clear Austria stands for lifting anti-Russian sanctions. In case of Vienna economic interests top the foreign policy priorities list. Later on Wednesday, April 6, Fischer told his Russian counterpart, Vladimir Putin, that Austria could help remove sanctions if Russia ensures complete fulfillment of the Ukraine ceasefire deal. “Those who are interested in the development of good economic relations between Europe and Russia are not contented with the existence of sanctions and would like to lift them,” Fischer said. The Russian President noted that bilateral trade had fallen by about 25 per cent because of the sanctions, “though Russian exports to Austria, surprising as it might seem, actually increased slightly over the previous year,” according to a Kremlin statement. “No side wins from the sanctions introduced by the European Union against Russia, it is necessary to find a way that would lead to the removal of most of them,” Heinz Fischer said meeting Sergei Naryshkin, the speaker of Russia’s lower house of parliament. “Our position in these [EU] discussions [on anti-Russia sanctions] includes that it is necessary to consider all the possibilities of relationship development between Russia and the European Union. The most important part is that it is necessary to find such a path, a common way for all of us, to develop it, which would result in the soon removal of most of the sanctions,” Fisher pointed out. The Austrian President said he hoped the Austrian chairmanship of the Organization for Security and Cooperation in Europe (OSCE) in 2017 will contribute to the resolution of Ukraine related problems. Kremlin press-secretary Dmitry Peskov said Austria sticks to neutrality and does not support the sanctions. It broadens the agenda for the bilateral talks. The Austrian President informed that Austria wanted to conclude a bilateral agreement for cooperation in fighting terrorism with Russia. “It is necessary to promote struggle against terrorism but, naturally, it is also necessary to observe human rights and legislation,” Fischer noted. “We believe that a new agreement for cooperation between the Interior Ministries of Russia and Austria should be concluded in the near future. We hope that we are going to achieve this goal,” the Austrian President emphasized. In his turn, Vladimir Putin reminded that 2018 will mark the 50th anniversary of the start of Soviet gas deliveries to Austria. “Austria was our first Western European partner in this area. Over this time, we have supplied more than 190 billion cubic metres of natural gas. Russia has been a reliable energy supplier throughout these years,” the Russian President emphasized. Putin also pointed to the importance of the agreement reached last year between Gazprom and OMV Group about participation in the Nord Stream 2 project, and the conclusion of an agreement on joint development of the Urengoi oil and gas field. The companies signed a number of new agreements on April 1 this year, in St. Petersburg. They include agreements on oil supplies and scientific-technical cooperation. Another symbolic project was the construction, with help from Gazpromexport, of an underground gas storage facility in Austria. This is Europe’s second-biggest gas storage facility in terms of active gas volumes in storage. The Russia-Austria dialogue was not limited to the agenda addressed by the two presidents. On April 5, Austrian Foreign Minister Sebastian Kurz, who had traveled on to Moscow directly after his meeting with US Secretary of State John Kerry in Washington, met the Russian Foreign Minister Sergey Lavrov for dinner before joining the delegation headed by the Federal President due to arrive in Moscow in the evening. The Minister represents the younger generation of European politicians, he is only 29. In his remarks, Kurz called for maintain contacts with Moscow through the Russia-EU dialogue. Vienna is ready to make its contribution into the process. According to him, a dialogue is especially important when hard times come. Austrian Chief of General Staff Lieutenant-General Othmar Commenda visited Moscow as a member of the presidential team. He met Chief of the Russian General Staff and First Deputy Defense Minister General Valery Gerasimov. During the talks he made some very candid remarks. For instance, he specifically mentioned that Austria has been unable to invite the Russian General for a visit because of the “developments in Europe” and was expecting his Russian counterpart to visit Vienna in the near future. . “Austria and Russia have a long history of mutual relations and, unfortunately, due to the developments in Europe in recent years we have had no possibility to invite Herr General [Gerasimov] to Austria. We are sorry for that. I hope very much that the situation will be improved with our help and your visit will take place in the following years,” Commenda told Gerasimov. He said that one of the reasons for his visit to Moscow was the unwillingness to follow the diktat of some countries. “I’m not going to follow the directions and obey someone’s orders with whom I should communicate and with whom I shouldn’t. For this reason I wanted to visit you,” the Austrian Chief of Defense Staff said. According to him, only by joint efforts countries can settle the global problems. “Russia is much closer to Austria than other great powers of our world. Thus we are ready within the scope of our possibilities to work together wherever it is reasonable,” Commenda said. The General emphasized the importance of cooperation on the problems related to the situation in the Middle East. Gerasimov proposed that he and his Austrian counterpart “exchange assessments of international terrorism threats as part of the migration crisis” and discuss the issues of bilateral military cooperation. He shared the information on the results of the Russian Space Forces’ operation in Syria. There is some progress in developing economic ties. 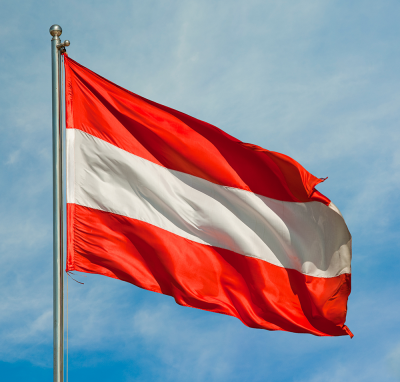 On April 6, Austria asked Rosselkhoznadzor (the Federal Service for Veterinary and Phytosanitary Surveillance) to inspect the enterprises interested in exporting livestock and animal products to the Russian Federation. Austria already plans to start the supply of the goods as soon as the sanctions are lifted, said in a statement Dr. Dietmar Fellner, Commercial Counsellor at the Austrian Embassy. A few days ago Austrian business leader Christoph Leitl criticized anti-Russian sanctions, saying they had proved unsuccessful. Leitl said Russia with its raw materials and Europe with its expertise would complement each other perfectly. The top Austrian business leader has criticized anti-Russian sanctions. Christoph Leitl, who heads the Federal Economic Chamber, says they have been unsuccessful for two years, and like a good doctor the EU should reconsider the treatment. Leitl intends to use a trip to Russia to discuss with President Vladimir Putin a free trade area across the continent from Lisbon to Vladivostok in the Russia’s Far East. During the Austrian President’s visit Austrian Minister of Agriculture Andrae Rupprechter said Vienna was interested in mending bridges with Moscow because Austrian agricultural exports had dropped by 50 percent since the introduction of the Russian food embargo, imposed as a countermeasure to the EU sanctions against Russia. At the moment, there’s no unity among the European Union concerning the automatic prolongation of economic sanctions against Russia that expire on July 31 this year. While Italy and Hungary have said that things can’t be taken for granted at this stage, some EU member states, such as Britain, the Baltic republics and Poland say the sanctions should continue. The visit was an important event. Austria, one of EU leading members, has sent a clear signal it is tired of sanctions and wants them lifted. The delegation demonstrated the Austrian government strives for better relations and more intensive cooperation with Russia. Vienna is not alone here, its stance mirrors a strong trend, which is gradually picking up momentum and can hardly be reversed.